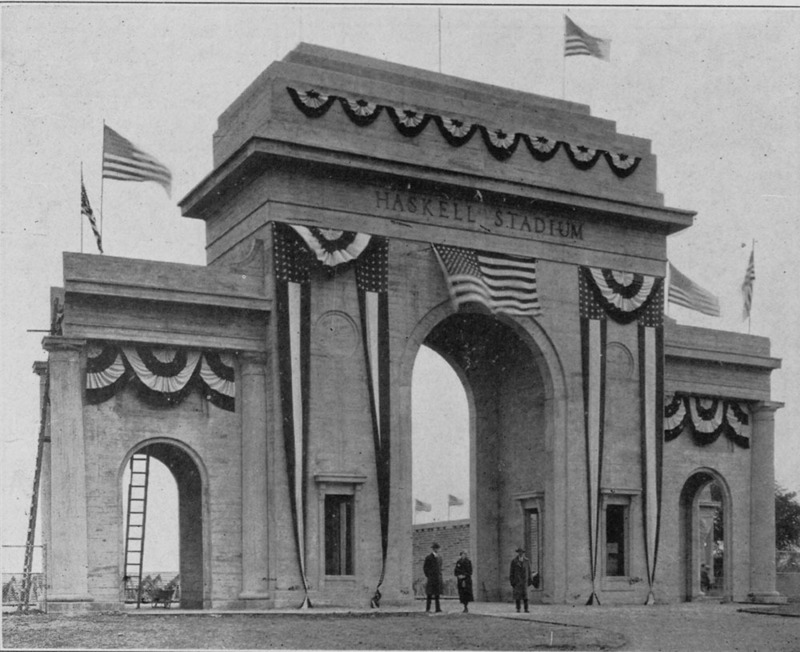 The entrance to Haskell's football stadium is pictured Oct. 30, 1926. 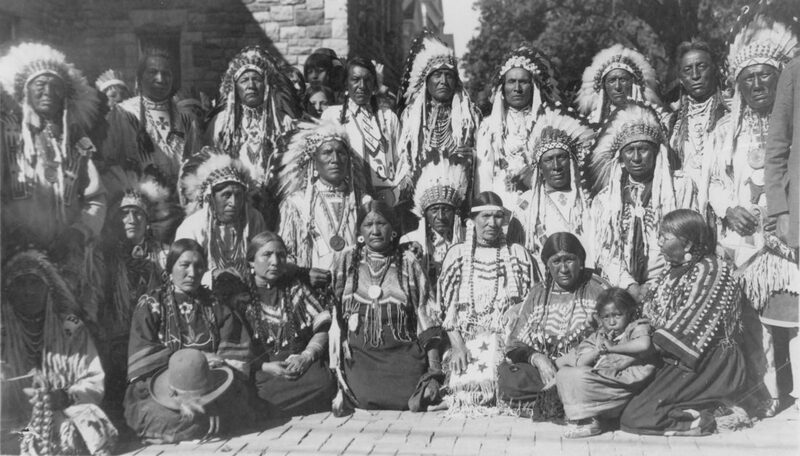 Native Americans couldn’t claim U.S. citizenship when they answered the call to arms and fought in World War I. Citizenship would come six years after the war was over. But that didn’t stop 415 Haskell students, faculty and alumni from enlisting, according to historian Jancita Warrington, director of the Haskell Cultural Center and Museum. Those soldiers were just a small part of the 10,000 tribal members who had joined the U.S. armed forces by 1918, with 75 to 85 percent enlisting voluntarily, according to information on display at Haskell’s museum. Honoring those soldiers’ sacrifices is one of the goals of “Keeping Legends Alive,” a two-day celebration scheduled for Sept. 21 and 22 that will be hosted by the Haskell Cultural Center and Museum and the City of Lawrence. It will include a celebration of veterans, a powwow and several other activities. The event will recognize not only those who served but the legacy of the 1926 dedication of Haskell Memorial Stadium, which was one of the biggest events in the city’s history. A program advertises festivities at Haskell Institute in October 1926. At the time, Haskell Institute was a boarding school for Native American children; it wouldn’t even become accredited until the next year. For the dedication of the stadium, the memorial arch was draped in bunting, and a four-day extravaganza that could have rivaled the Kansas State Fair ensued. Baby contests and a beauty pageant took place, as well as an “oldest Indian contest,” which a 117-year-old Potawatomi man won. 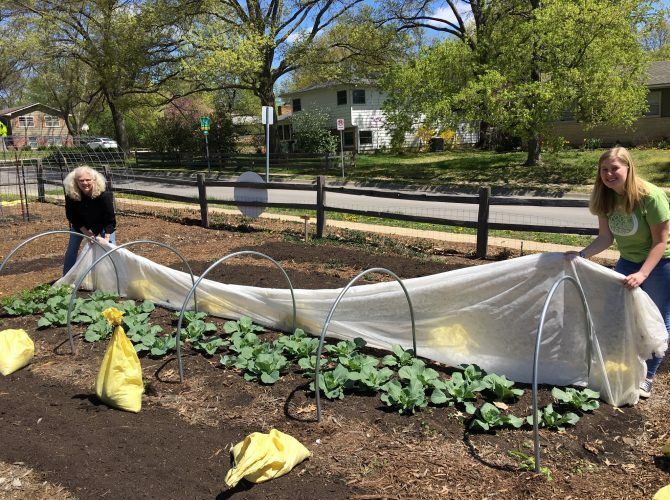 “The city was involved,” Warrington said. A special road into the campground was created, and that road remains as the frontage road between 23rd Street and Haskell Stadium. About 66,000 tickets were sold for the events at the stadium, while more than 100,000 people walked around the campgrounds, where 5,000 Native Americans had set up their tribal villages. 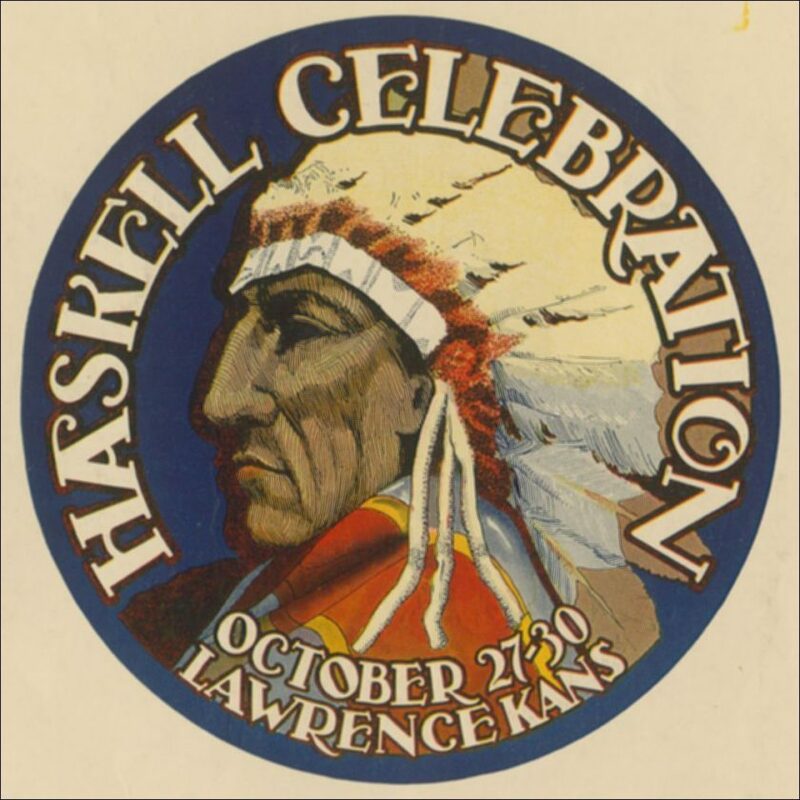 A medallion-shaped program advertises festivities at Haskell Institute in October 1926. “Only those who had gone to school spoke English; the rest spoke their tribal language,” Warrington said. She estimates that about 200,000 people attended the events over the four days. As organizers realized the size of the crowd, they knew that the four buffalo they had for the barbecue would not be enough to feed everyone. A Native American Chief stands watch over buffalo meat being dried over hot coals. 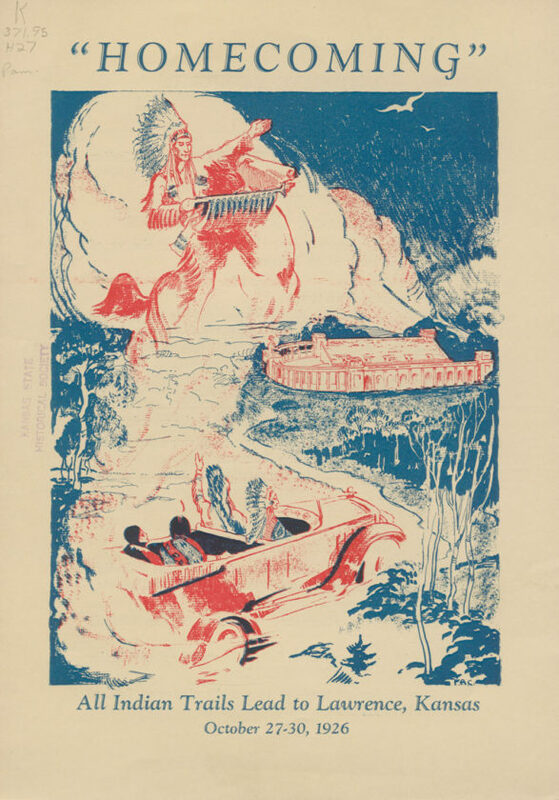 Thousands of Native Americans came from across the country to attend the “All Indian Trails Lead to Lawrence” dedication of the new football stadium at the Haskell Institute in Lawrence, Kansas. The event spanned four days, Oct. 27-Oct. 30, 1926. A world championship Indian dancing contest took place, which included early forms of the Native American dance style known as fancy dancing, Warrington said. Along with dancing contests, a parade down Massachusetts Street and a performance of “Hiawatha,” a football game took place between Haskell and Pennsylvania’s Bucknell University, which Haskell won. Native Americans pose for a photo at the Haskell Institute stadium dedication Oct. 27-30, 1926, in Lawrence. Haskell’s Memorial Arch was funded solely by money from Agnes Quapaw-Hoffman and Alice Beaver-Hallam. 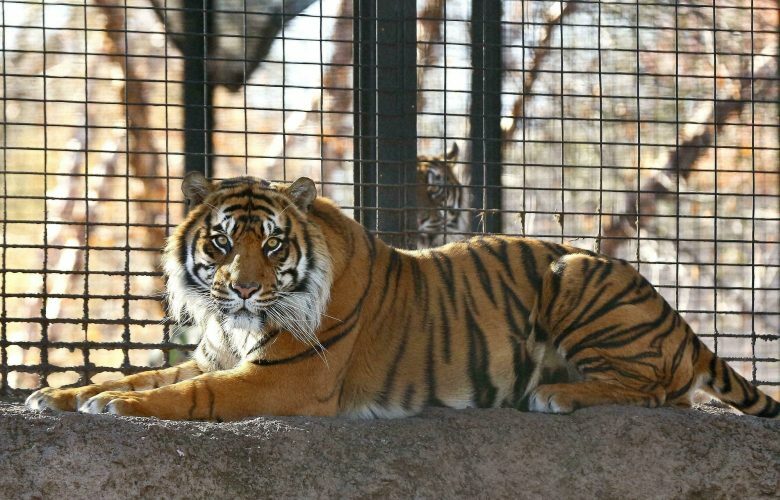 The two women were members of the Quapaw tribe and alumni of Haskell. 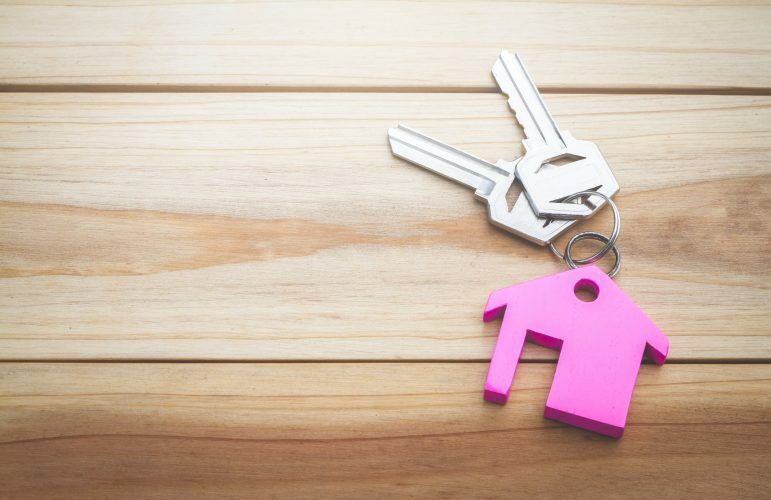 “They were very wealthy,” Warrington said. Many others donated to the building of the stadium, Warrington said, including Esther Big Horse Jefferson, a member of the Sac and Fox tribe. 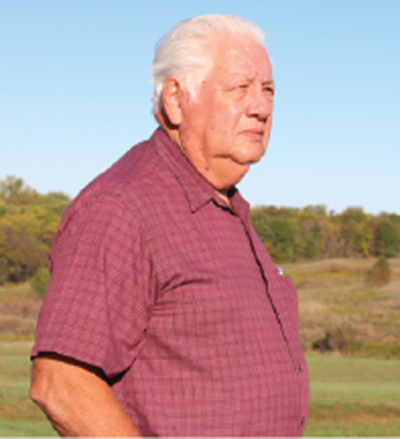 Quapaw and Osage tribes also provided nearly $100,000 for the $250,000 stadium. Students helped with the labor of building the stadium. At the time, it was the only lighted stadium in the area, Warrington said. A crowd of observers witnesses the meeting of Chief Two Gun White Calf and Haskell Institute Superintendent Hervey B. Peairs. The photo was taken at a four-day event from Oct. 27-30, 1926, which included the dedication of the new football stadium at the Institute. For the dedication, renowned athletes like alumni Jim Thorpe and John Levi returned. A photo in the museum’s exhibit shows the two men in a fancy convertible being driven by another alumnus and athlete, Buster Charles. Warrington is expecting that Levi’s son, who is 93, will attend the “Keeping Legends Alive” event. 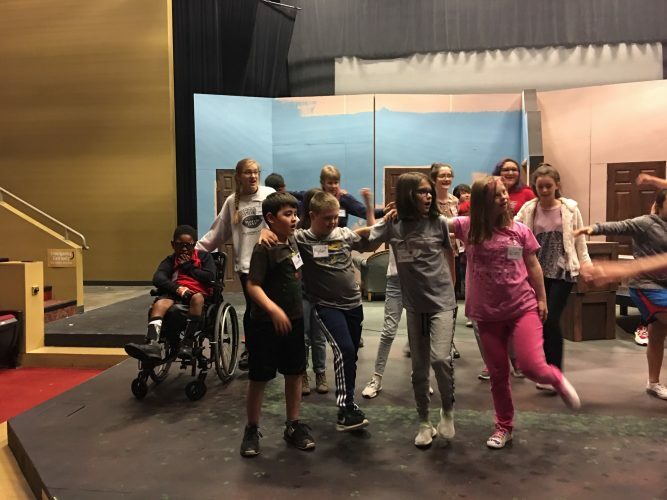 In addition to the powwow and veterans celebration, this month’s two-day celebration will include several educational workshops, a run hosted by Olympic champion and Haskell alumnus Billy Mills, a special film screening and several other activities. For a full list of events, go to http://keeping-legends-alive.000webhostapp.com. 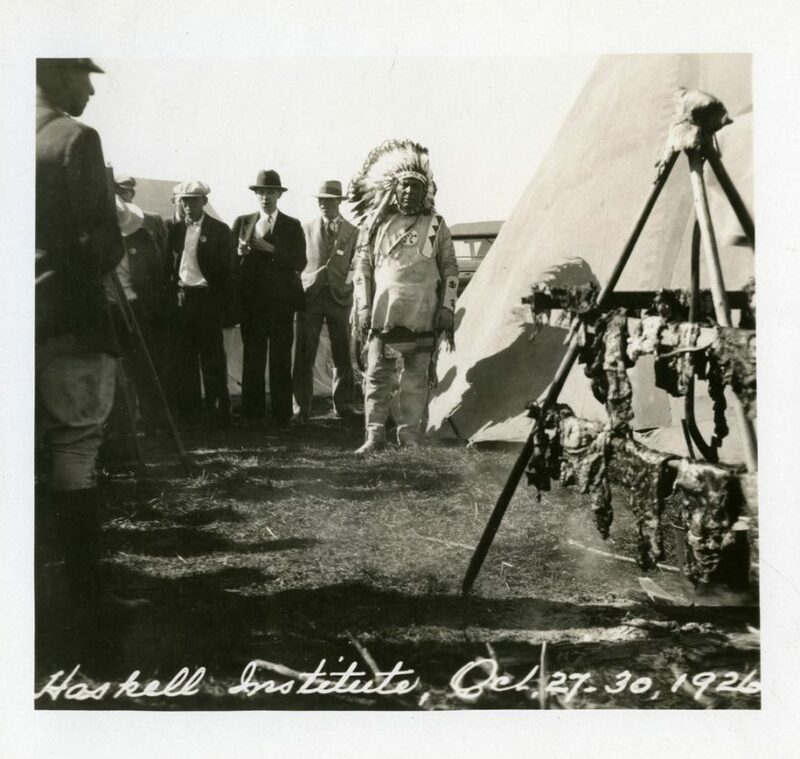 Nineteen Blackfeet Chiefs from Montana attended the Oct. 27 to Oct. 30, 1926, dedication of the new football stadium at Haskell Institute in Lawrence.